Is steak a meal you eat regularly or something you save for special occasions? I like to save it for special occasions. I’ve been starting to experiment with some new ways to make it. One of my new favorites is this Rosemary Garlic Steak. 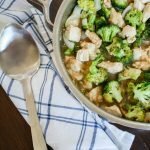 This recipe couldn’t be easier! Just mix a few simple ingredients to season the steaks and cook them in a skillet. Rosemary is one spice that I love but rarely remember to use. It smells so good when it’s cooking. Earlier this week I shared my 16 Spice Rack Essentials. I talked about how rosemary was one of my must-have spices. 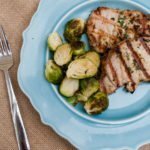 After making this recipe, I think I need to add rosemary to the list of herbs and spices I want to grow! 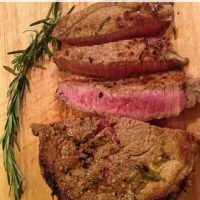 Wouldn’t it be nice to have rosemary ready to use whenever you want to make this steak? 1. Mix garlic, rosemary and sea salt. Press to bring out the flavors (if you have a mortar and pestle use it to mix well). Rub the mixture over both sides of the steaks. 2. Heat a skillet over medium/high heat and melt the butter. Add olive oil. 3. Add the steaks and season with pepper. Cook for 1-2 minutes on each side. 4. Flip the steaks and add wine. Cook 3-5 minutes or until steaks are done to your liking. 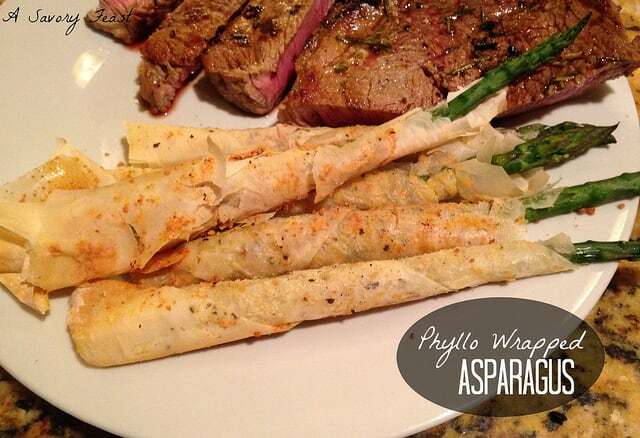 These steaks paired perfectly with the Phyllo Wrapped Asparagus that I shared earlier this week. This is the perfect meal for your next special occasion. What is your favorite meal for a special occasion? Meet Becca from Two Places at Once! We discovered early on that we are fellow UF alumni (go Gators!). She also shares lots of delicious recipes. I can’t wait to try some of them. 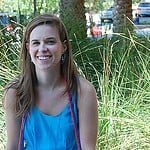 What is the story behind your blog name? 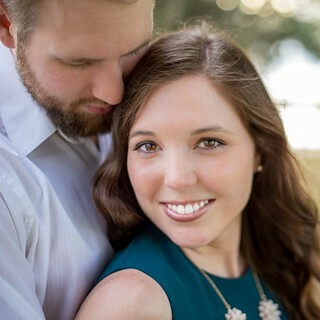 When I moved to Austin two years ago, I wanted a way to connect with my friends and family back home I absolutely love Austin, but I also still wanted to be with my family back in Florida. I wanted to be in both places, thus Two Places at Once was born. At first, I mainly shared what happened in my day-to-day. Two Places at Once has also developed into a food blog. I love making the kitchen more accessible to people! What is your all-time favorite dessert? It’s nothing fancy, but I love a good chocolate chip cookie. One that’s fresh out of the oven, a little crispy on the outside and gooey on the inside. It doesn’t get much better than that! Are you interested in sponsoring A Savory Feast? I have several sponsorship packages designed to help you grow your blog, small business or Etsy shop through sidebar ads, social media shout-outs, and features like these. Previous Post: « 2014 Reader’s Survey! I hope you like it! 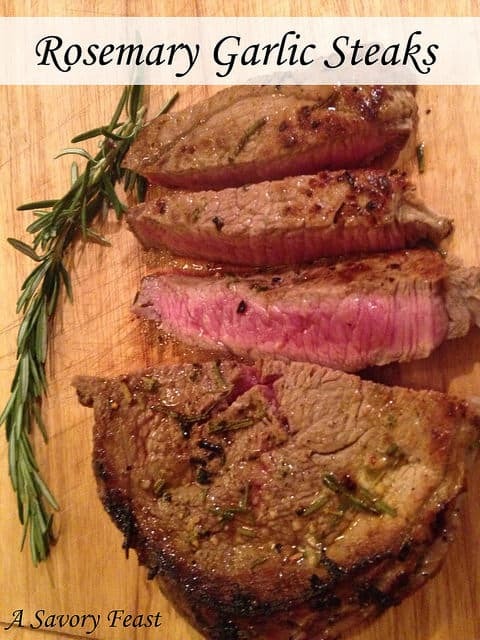 Rosemary tastes so good with steak. OOh. YES. 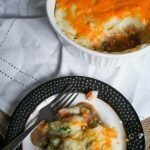 I feel like I don’t see enough meat recipes in blogland. Rosemary and garlic are magic! You are so right! Every now and then we have to take a break from all the sinful dessert recipes and eat some real food! This looks so delicious! My kids and I love steak! We don’t get it often but when you do we enjoy every bit of it. I don’t have steak very often, so it feels like a special occasion when I do! Even if it’s just a regular weeknight. I saw you had a recipe for venison today and I was thinking I need to try that sometime! It’s been a few years since I had venison, and I’ve never tried cooking with it. This looks incredible! 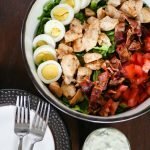 I can’t wait to whip this up for dinner this week! Let me know what you think! I hope that you enjoy it. This sounds amazing! I cannot wait to make this! I adore rosemary and garlic together…magic! Let me know if you try it! I can’t wait to hear what you think. I don’t cook steak very often, so I’m always nervous that I will over-cook it! This one turned out perfectly, though. I love steak and rosemary! I will definitely give this a try soon! Such a great combo, right? This recipe is really easy, too. Thank you! You should try making it sometime, it’s so easy and delicious. You will love them! They are super easy to make, too. Thank you Miz Helen! Thanks for hosting the party.